God, do I love the month of March. It’s the time where spring training in Major League Baseball winds down as it readies itself for Opening Day. It’s the month where the NFL’s hot stove percolates before the NFL Draft. It’s when spring football goes into full swing for college football fans everywhere. 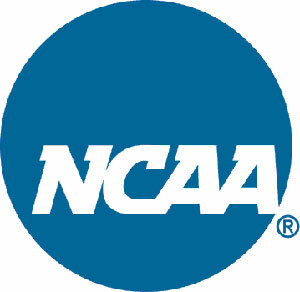 And most importantly, it is the month that blesses sports fans with the NCAA Tournament. This year, I do not have many gripes over the teams selected to participate in the tournament. The NCAA Selection Committee actually hooked up the mid-major conferences. The Atlantic-10 got multiple teams in the tournament, as did the West Coast, Mountain West, and Missouri Valley conferences. However, every year it gives us teams that shouldn’t made the tournament over teams that deserved to be there. This year is no different, though it’s not as big an issue as in years past. Enter UConn, West Virginia, and Cal. UConn and West Virginia are only in the tournament on the strength of its overrated conference, the Big East. The media (read: ESPN) fall in love with that bloated conference every year, and it clouds the judgment of the NCAA Selection Committee. Both teams finished no better than a .500 record in the conference, with UConn finishing at 8-10 in conference play. Hell, it finished with a worse overall record than Seton Hall, who did NOT make the tournament. And as for Cal, I don’t know how in the hell they got there. They didn’t even win a “turrible” Pac-12. Worse, Cal didn’t even win its tournament. And yet they are there. Oh well, I guess no one is perfect. Nonetheless, expect me to practice my “sick coughs” for my Thursday “sick day”.